With a palette of warm tones and serene settings, Polzin's paintings are acknowledged as masterful compositions reflecting an Old World style. 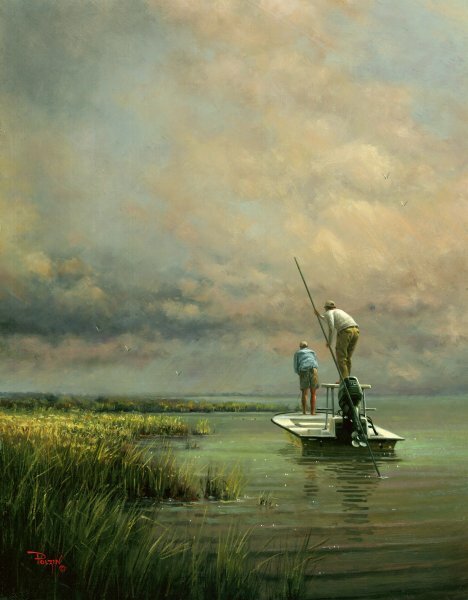 The artist's talent and his range of abilities allow him to paint a variety of subject matter - from hunting and fishing and coastal scenes to still lifes to Western themes to wildlife. The artist's works exhibit a combination of quiet strength and character that draws the viewer into his striking images leaving a lasting impression.